After debate spanning two days, a bill that would require municipalities to seek voter approval before levying additional taxes on wireless services stalled on general file April 17. 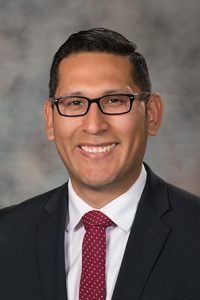 LB550, as introduced by Omaha Sen. Tony Vargas, would require a municipality to secure voter approval before imposing any local tax or fee on wireless services. Vargas said other Midwestern states provide the same services at a much lower cost to consumers. “[The bill] provides greater transparency for voters who will better understand how much of those taxes they’re paying for, what the money funds and [would allow] each person to consider whether or not they support it,” he said. • exempting wireless service from a surcharge used to fund the state’s telecommunications relay system. 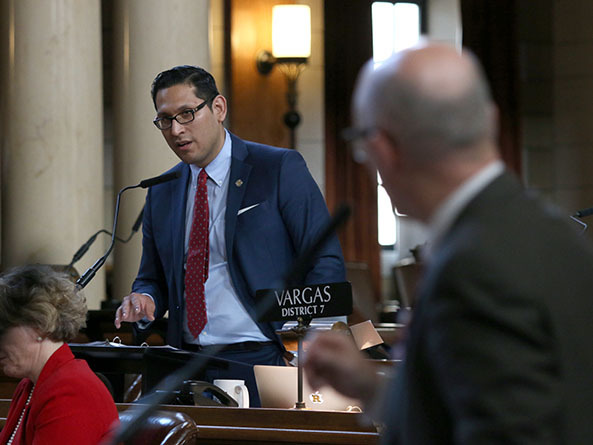 Vargas introduced an amendment that would have replaced the bill and simply required municipalities to seek voter approval for any occupation tax on wireless services, including existing taxes. Any existing occupation tax would be suspended until approved by voters. Vargas withdrew the amendment so that senators could consider an alternative approach. Omaha Sen. Justin Wayne then introduced an amendment that would replace the bill. If adopted, it would require a municipality to seek voter approval only on new occupation taxes or increases in existing occupation taxes on wireless and prepaid wireless services. Whether it is property, sales or occupation taxes, Wayne said, Nebraskans should have more of a say in the matter. Opposing the bill was Sen. Matt Williams of Gothenburg. Allowing municipalities to levy taxes on wireless services helps level the funding playing field, he said. Lincoln Sen. Adam Morfeld also opposed LB550. Lincoln would lose $4 million of its $178 million budget if the bill becomes law, he said, and that money most likely would be replaced with property tax revenue. The Legislature moved on to the next item on the agenda before voting on LB550 or any of the pending amendments. Per a practice implemented by Speaker Jim Scheer, the sponsor of a bill that is facing a potential filibuster must demonstrate sufficient support for a cloture motion before the measure will be scheduled for additional debate.